Just under a half the people (458) did not think they would move house again. 168 (65%) said they didn’t think they would be able to find anything suitable in Wivenhoe, the main reasons being cost and type of housing available. Asked about future demand from members of their families, 64 wished their elderly/dependent relatives could live near them now. While bungalows/flats were specified most frequently as the type of accommodation there was also a demand for sheltered housing or care homes. 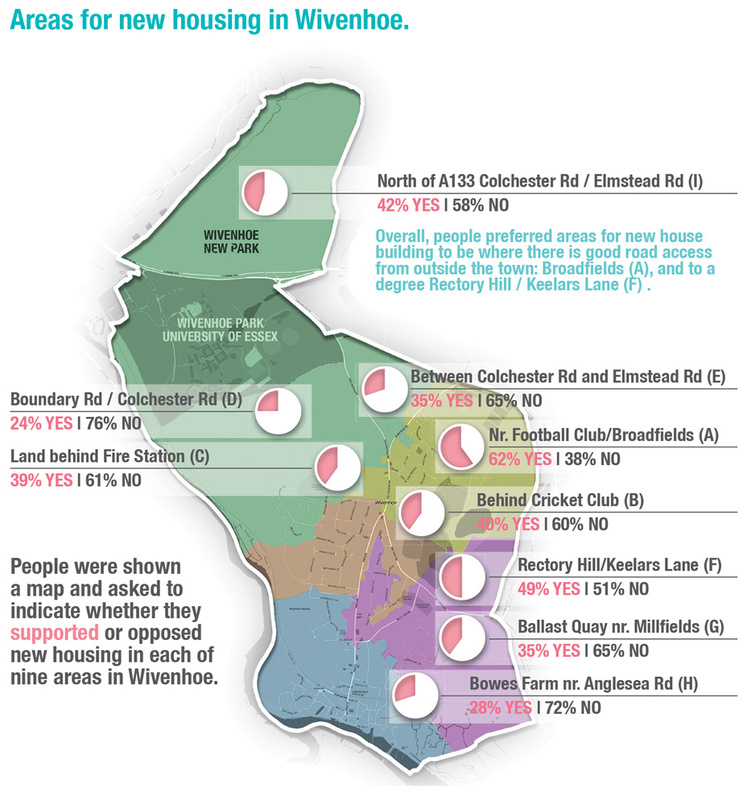 Regarding demand for housing from children, respondents identified 87 children who would like their own home in Wivenhoe now. 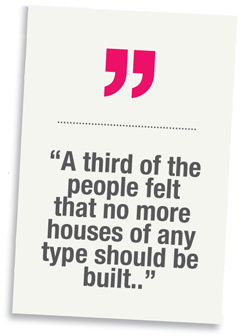 A third of the people felt that no more houses of any type should be built. There was no association between the age of the householders and the likelihood to answer ‘no more houses of any type’. However, a link was apparent between the length of residence in Wivenhoe and this viewpoint with a gradually increasing resistance to new housing according to length of residence: from 24% for those who’d lived here 5 years or less; to 49% for those who’ve lived here 50 or more years. People were very clear that new building should not take place without improvements in infrastructure and facilities, with many comments that these were inadequate for the existing population, especially medical facilities, roads/access and schools. 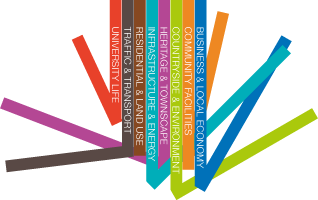 People are also very keen to keep a separation between Wivenhoe and neighbouring communities. In particular there was very strong support for retaining the open space between the University and Wivenhoe (sometimes called the ‘Green Wedge’) with 834 people (94%) voting in favour of this out of the 890 who responded to this question.